Love Jenkins are a Chartered Quantity Surveying practice. Besides providing traditional Quantity Surveying services such as, bills of quantities, tender reports, cost estimates we are also able to act as Employer’s Agents, Project Managers, Architectural Designers and Principal Designers. LJA are a Chartered Quantity Surveying Practice, with both directors having combined experience of 75 years in the profession. LJA provide cost management from inception to completion incorporating preparation of building estimates, procurement advice, formulation of tender documents, tender reporting, contract formulation, cost reporting, interim valuations, and final accounts. The aim of the practice is to ensure the clients obtain value for money. Our Architectural Designers can provide high quality detailed drawings, 3D graphic models and design advice. Our experience lies in designing a building to your brief, we realise no one has unlimited funds for building projects and ensure with you as our client we get value for money and a great design. We adapt existing Architects designs whether it is because you have a different opinion on budgets or a different vision for your project. 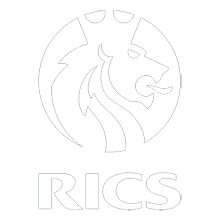 Our consultancy services include building regulations approval, planning consents, listed building and conservation area consent. Taking into account best practice and all current legislation and Building Regulations, LJA can advise on the best possible use of buildings to achieve the desired goals. Whether it be ensuring that healthcare providers are able to accommodate disabled patients in their facility, or providing decant space for staff whilst works are on-going in their normal place of work, LJA can provide the necessary design and administration. At LJA, we offer a number Building Surveying Services such as Feasibility Studies and Estimates, Home Condition Surveys, Measures Surveys and Plans. We have extensive experience of providing management to both commercial and domestic construction projects. Our service can be tailored to suit the requirements of the project. LJA can take overall responsibility for the planning, management, coordination and financial control of a construction project, working closely with all teams involved to ensure that the clients’ wishes are adhered to and that the project is completed on time. The LJA Project Management Team can be involved from the initial conception and design of the project, through its construction, to its completion, providing support and reassurance to all parties. When commissioned as the Employers Agent LJA will monitor the contractor’s progress against an agreed programme and give authorisation for payments in line with the agreed method and frequency. We will assess the financial effect of any changes to the Employer’s requirements and agree associated costs with the contractor. We will advise the Employer of any additional expenses incurred from changes to design, and deal with any instructions, applications notices or requests, which might arise throughout the project. 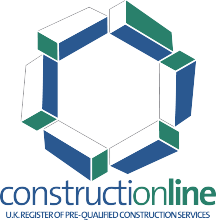 Most commercial projects are subject to the requirements of the Construction Design and Management Regulations 2015. Our services ensure that best practise is implemented throughout the project to reduce the likelihood of notifiable health and safety events.